With over 3000 full-content newspapers and magazines from 100 countries in 60 languages in just one app, PressReader provides readers with the most immersive and rewarding way to experience the world’s best press! 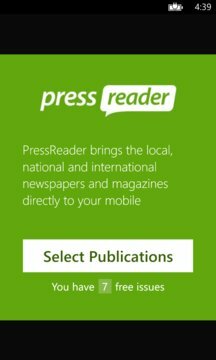 If you’re looking for the ultimate reading experience for your favorite newspapers and magazines, then you have to try PressReader, which is without a doubt the most satisfying, engaging, feature-rich and entertaining newspaper and magazine reading application you’ll ever use – available to users with a subscription to PressReader.com. 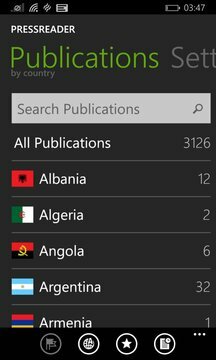 Browse, zoom in and read full digital replicas of thousands of newspapers and magazines from 100 countries just like you would in print.